Couscous makers for steam cooking. 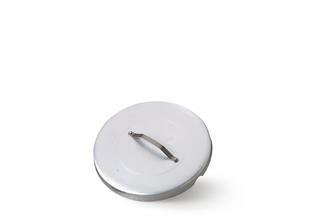 Aluminium lid - 34 cm - for cooking pot with 3 baskets. Full couscous cooking set in aluminium - 24 cm - for steam cooking. Comes with a saucepan, steamer basket and lid. Full couscous cooking set in aluminium - 28 cm - for steam cooking. Comes with a saucepan, steamer basket and lid. Full couscous cooking set in aluminium - 36 cm - for steam cooking. Comes with a saucepan, steamer basket and lid. Full couscous cooking set in aluminium - 40 cm - for steam cooking. 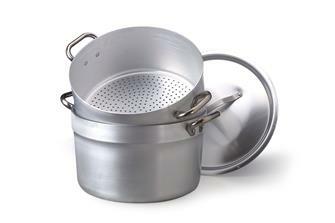 Comes with a saucepan, steamer basket and lid. 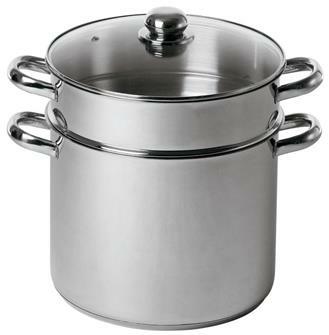 Couscous pot with 16 litre capacity measuring 30 cm in stainless steel with a triple distribution base and glass lid. 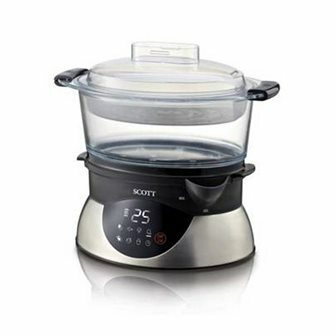 Steam cooker and electric yogurt maker.